Should the UK enforce these three European road laws? Don’t forget to check there’s a breathalyser kit on board your four-wheeled vehicle or motorcycle before driving in France. The devices are there so that motorists can check whether or not they are exceeding the drink-drive limit. There are several penalties in place if a motorist is caught drink-driving in the UK. A guilty party can expect a hefty fine, a ban from driving, and possibly even imprisonment. We can’t see there been many complaints if the UK implemented a similar road law. This is especially after the Department for Transport reported that around 9,040 people were injured or killed on roads across Britain in 2016 after being involved in incidents where a driver was found to be over the alcohol limit to be behind the wheel. There might also be a drop in the number of morning-after drink-drivers if breathalyser kits had to be packed into every vehicle. This is after a survey commissioned by the AA involving close to 20,000 motorists suggested that one in five motorists had driven the morning after drinking during the previous day — despite the drivers being aware they may still be over the drink-drive limit. Quoted by the BBC, the president of the AA, Edmund King, commented: "I think people have kind of got the message when they go out in the evening, so they'll book a taxi or they'll have a designated driver and they'll be responsible. But once they get home, they go to bed, they have some sleep, and then they kind of think well I'm OK, it's the next day. "So, they're not equating the next day with what they've actually drunk and the problem is if you really have had a lot to drink, your body can only really break down one unit of alcohol per hour…it is relatively easy to be over the limit the next day." It’s a legal requirement in Spain that you need to carry an extra pair of glasses in your vehicle when driving throughout the nation and requiring the use of prescription glasses to do so. Fail to show a spare pair and you could be penalised with a small fine. According to figures from the Royal National Institute of Blind People (RNIB), the number of people across the UK who live with sight loss now stands at over two million individuals. The RNIB predicts that this number will surpass 2.7 million people by 2030 before hitting close to four million by 2050. It’s important to acknowledge before we go any further that the Driver and Vehicle Licensing Agency (DVLA) enforces measures related to driving and sight loss. You can find full details about the parameters here. Furthermore, figures which were released to Optometry Today following a Freedom of Information request revealed that the DVLA had either revoked or refused 42,519 car and motorcycle licences between 2012 and 2017 due to poor vision. During the same period, it was also found that 6,739 lorry and bus drivers had lost their licence as a result of their failing eyesight. Unfortunately, this topic still throws up some concerning aspects despite these measures. According to a survey carried out by road safety charity Brake, for instance, a quarter of drivers in the UK haven’t had a vision test in the past two years from when the poll was conducted. What’s more, four per cent of respondents had never had their eyes tested. If it’s snowing in a part of Italy, motorists will only be able to drive their vehicles in affected areas once the set of wheels have been fitted with either winter tyres or snow chains. Fail to follow this law and a driver can expect to be slapped with a fine if caught by the authorities. Neither of these items are obligatory when the wintry weather hits across the UK. Views about this ruling may be different once we consider the impact that the Beast from the East had across the nation in 2018. When blizzard conditions swept the nation at the end of February and into March, traffic came to a halt for several hours on the M80 between Glasgow and Stirling, various parts of the A1 were closed several times, and thousands of drivers were left stranded on roads throughout the UK. 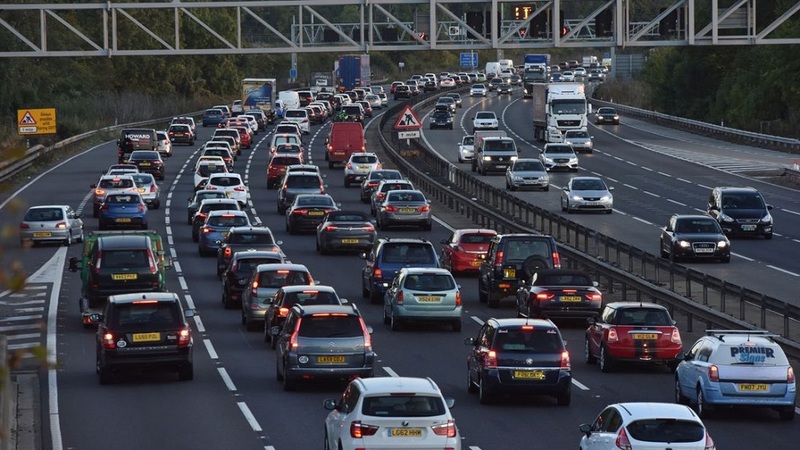 Figures from Continental Tyres also reveal that 6,393 more accidents which involved a car took place on roads across the UK during the winter when compared to those which happened throughout the summer months. Despite these findings, a poll carried out by Falken tyres found that a quarter of drivers refused to invest in a set of winter tyres due to the cost being too high in their opinion and 19 per cent said they couldn’t be bothered with the hassle of changing their tyres.